It's easy to not think about your teeth when they feel fine. However, dental problems can creep up on you without warning, and before you know it you have serious tooth decay or gum disease! 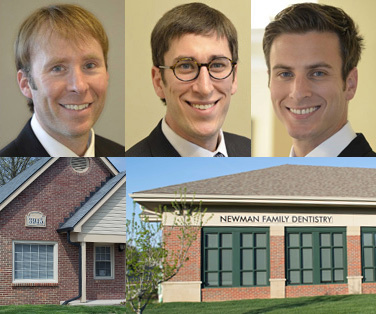 At Newman Family Dentistry, our goal is to provide preventive dentistry to all of our patients, so their teeth and gums stay healthy. It's always better to nip dental issues in the bud! Preventive care will keep your teeth and gums healthy. Avoid painful and expensive dental issues with regular preventive dentistry! Why is Preventive Dentistry so Important? Putting off a dental appointment may not seem that big of a deal, but can lead to hidden dental issues that eventually emerge in painful and costly ways. Even with daily brushing and flossing, plaque can build up below the gum line and between teeth, and cause the beginnings of tooth decay or gum disease (gingivitis). Preventive dental care can mean the difference between a case of mild plaque buildup (which can quickly be cleared up by a cleaning) and any of a range of severe dental conditions including cavities, severe gum disease, and infections. We understand that many people have anxiety about going to the dentist. You may associate a trip to the dentist with pain or you may be embarrassed by the state of your teeth. The true story is that regular preventive dental care is the antidote to pain, embarrassment, and expensive repairs. How Much Does Preventive Dentistry Cost? Most dental insurance plans cover preventive care. There may be a co-payment for routine services like exams, x-rays and cleanings. Even if you pay out of pocket, preventive care is the least expensive of all dentistry services! However, not getting preventive dental care can be extremely costly. Treating advanced gum disease is very expensive, and when teeth have decay there are even more expenses — fillings, crowns, root canals, bridgework and even extractions and reconstructive work! Don't miss out on preventive dentistry! Indianapolis and Carmel residents can avoid costly and painful dental work by taking regular care of their teeth. Schedule an appointment at either of our convenient office locations today, and enjoy the security of knowing your dental health is under control!